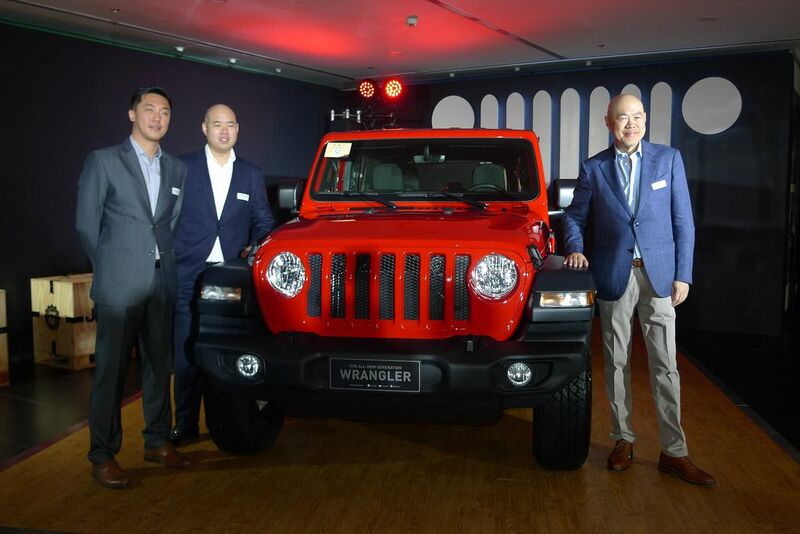 Auto Nation Group, the official distributor of Jeep locally, launched the All-New Generation Wrangler on March 13, 2019. 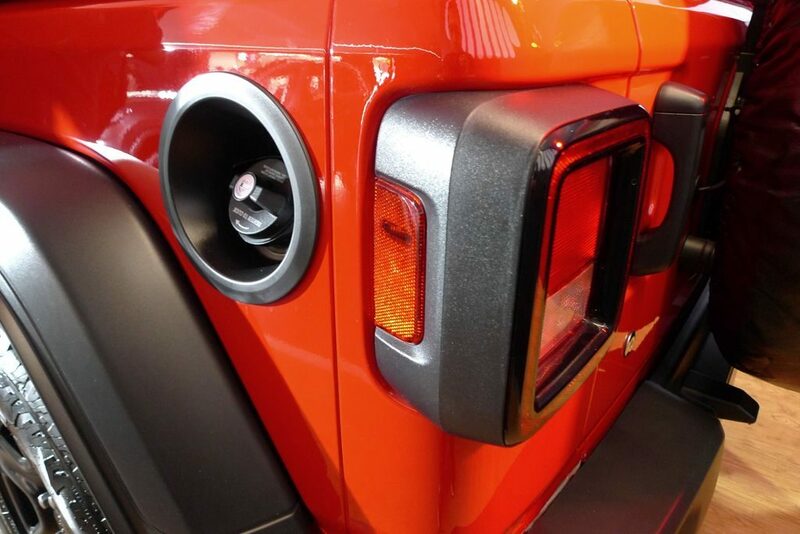 The iconic Jeep Wrangler has been updated to keep up with the competition. Jeep has changed little in more than 70 years and still maintains it’s identity in this latest generation while incorporating modern design cues. There’s the 7-slot grille, which pays homage to the Jeep CJ, where both outermost slots intersect with the circular headlights and the top part of the grills is swept back for better aerodynamics, it also has a lowered belt line and larger windows affording better visibility for the driver and passengers. There are new square LED tail lamps which re slightly offset to integrate new tech in the vehicle, blind spot monitoring. 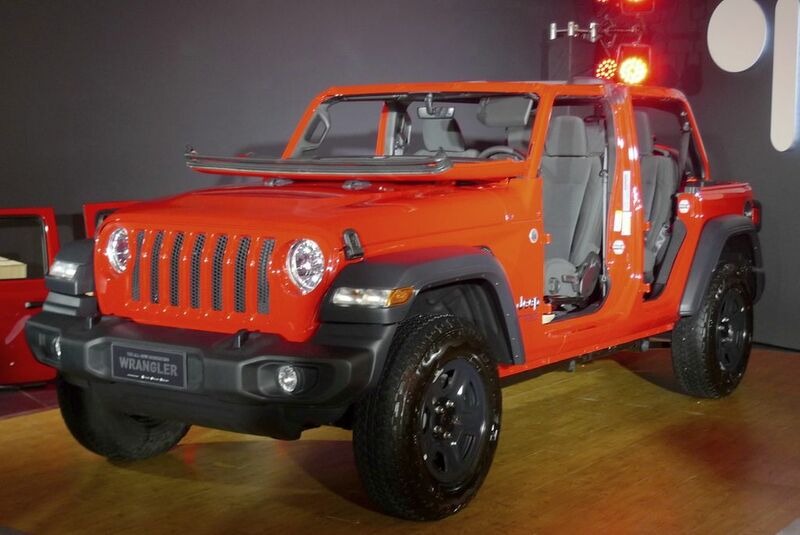 Open-air driving is now made easier as the Wrangler’s aluminum build makes parts like the hood, fenders, swing gate, doors and hinges lightweight and easy to remove in less than 20 minutes. The windshield folds down while its frame/a-pillar stays in place along with the rear-view mirror. The body-colored sport bars have integrated grab handles are welded to the body. 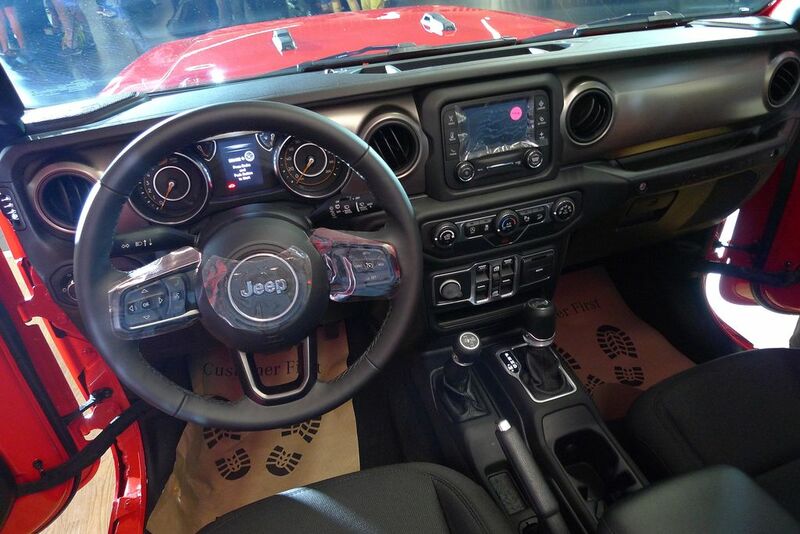 The interior is still unmistakably Jeep Wrangler, with signature Jeep design elements, soft touch upscale materials and state-of-the-art technology make it comparable to luxury SUVs. It gets a new steering wheel which controls audio, voice, and speed functions and a reconfigurable 3.5-inch instrument cluster that displays reconfigurable information such as media, tire pressure, and speed among others . The Center Console is within easy reach, including the new media center with a third-generation Uconnect system, features a 5-inch screen display with a customizable drag and drop feature in the menu. This area also contains the connectivity, charging ports, climate and volume control knobs, Engine Stop Start control. It also houses the gear shifter, transfer case and parking brake. The all-new Wrangler also offers generous space including an underfloor storage, durable mesh pockets that extend the entire length of the doors, and numerous phone storage areas. The All New Wrangler is powered by a new engine, the fuel-efficient 2.0-liter turbocharged, four-cylinder engine with Engine Stop-Start (ESS), that puts out 284hp with 400 Nm of torque and mated to an eight-speed automatic transmission. 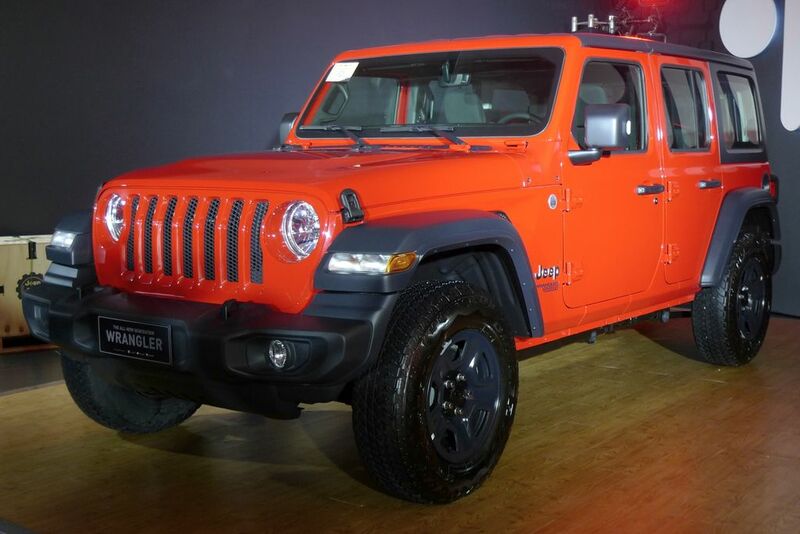 “We are introducing a best-in-class 2.0-liter 4-cylinder engine on the all-new generation Jeep Wrangler, mated with an 8-speed transmission, as an option to the 3.6-liter Pentastar® V6 engine which Jeep fans and aficionados have grown to love. 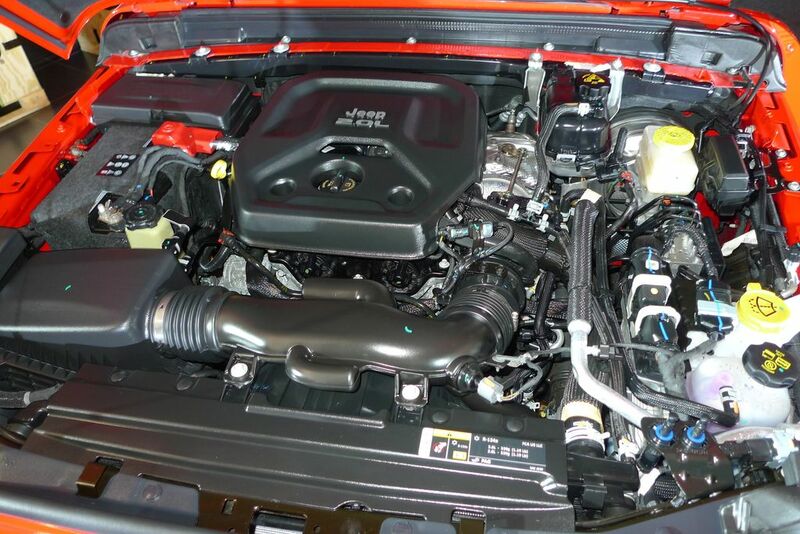 The combination of a 2.0-liter engine with an 8-speed transmission offers optimal engine output, improved highway economy, and reduced noise and vibration, giving you a worry-free journey in any adventure, be it in the city or on the most challenging of terrains,” said Vincent Gaviño, sales and marketing head for Chrysler, Dodge, Jeep and RAM of Auto Nation Group. Safety and security features are updated with more than 75 available active and passive safety and security features which include blind spot monitoring, rear cross path detection, parkview rear backup camera with dynamic grid lines, electronic stability control and multiple airbags. “The Jeep brand is well-recognized around the world and there is no vehicle that represents the essence of Jeep the same way the Wrangler does. 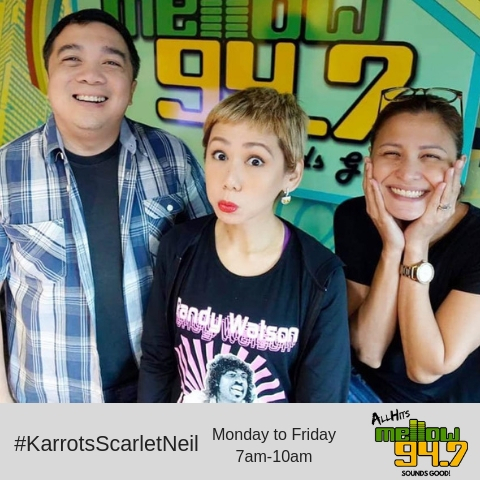 Its comeback is also timely for us as we mark our 15th anniversary with the brand as its official importer and distributor in the Philippines,” said Francis Jonathan C. Ang, chief operating officer of Auto Nation Group. 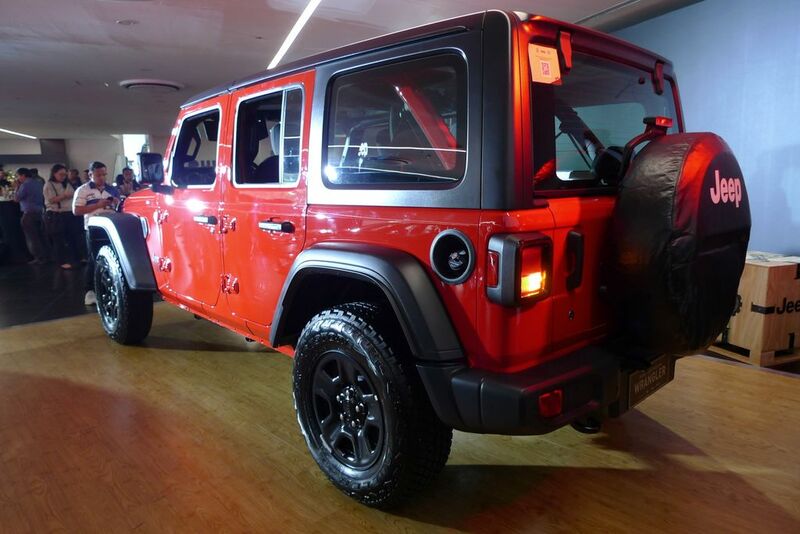 Visit the Jeep Philippines website at http://www.jeep.com.ph for more information.